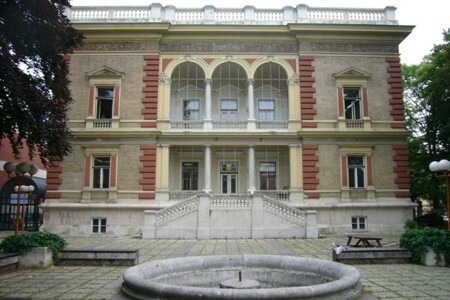 For nearly 30 years the Burkhard Villa has been integrated into the complex of the Gröhrmühlgasse Federal Secondary School. It is used for teaching art and music. The original mansion of the Burkhards, a family of industrialists, was built in 1884 and is the most important building of its time in the region. 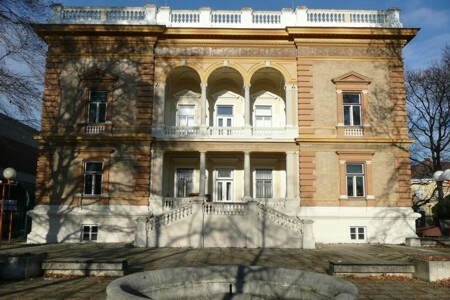 The costly restoration of the Neo-Renaissance mansion was managed in coordination with the Austrian Federal Office for the Care of Monuments. 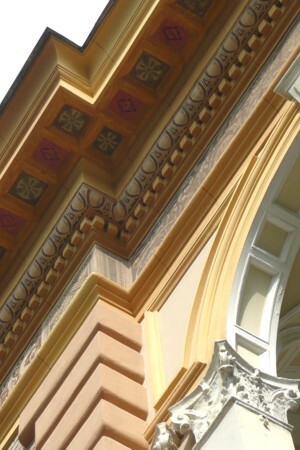 In particular, the restoration of the bands of sgrafitto and the original colours was a matter of great responsibility.